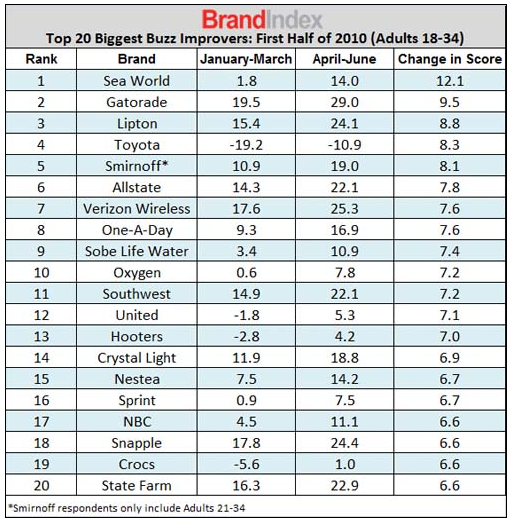 Smirnoff gained more than 8% buzz in the first half of 2010 and I can almost assure you it wasn’t because of their “Be there” campaign which certainly wasn’t the viral internet phenomenon that “icing” became. 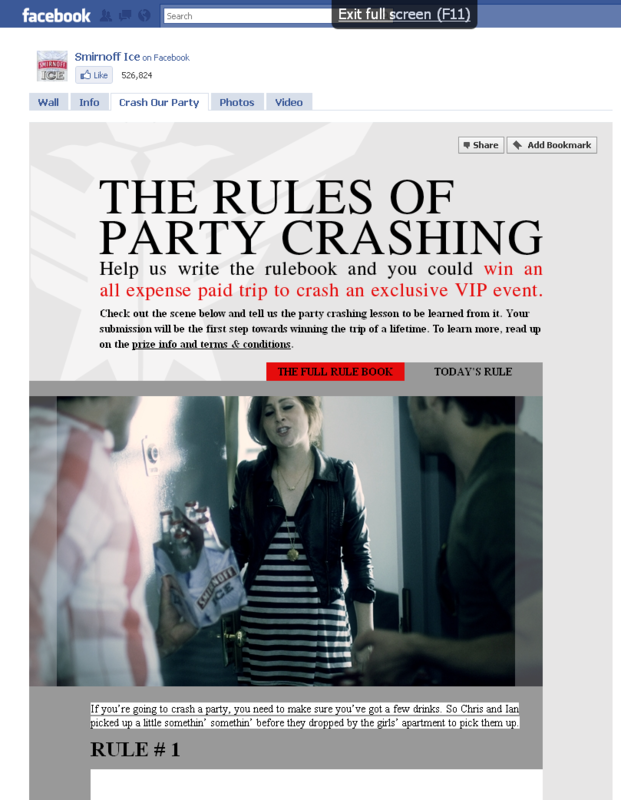 Interestingly enough, when I looked on their website and Facebook page, their companies’ featured ads were about “crashing parties” and giving people the drink unexpectedly. After forcing the closure of “Bros Icing Bros” and warning other similar sites, it seemed apparent that Smirnoff didn’t endorse the 3rd party campaign, particularly because they wanted to make it clear that, “‘icing’ does not comply with our marketing code,” according to a statement by the company. Additionally, it’s been speculated that despite increase in buzz and profits, the phenomenon portrays the drink in a negative and embarrassing light and that it could be a liability for the company. Strange, though, that their ads look similar to pictures off of such sites (as can be seen in the news link above) after their denouncing of the entirety 3rd party creation. Did Smirnoff try to shirk legal responsible but actually embrace the embarrassing, albeit profitable, campaign or are the similarities in the ads simply coincidental? You know what they say, any press is good press. Is Hanes going to get Commandoed too???? ?